Worship at Faith is the heart of who we are as a community. Because our congregation is so diverse, our worship style is diverse. On a given Sunday morning, we might use a traditional sung response to the offertory but sing two contemporary hymns. An African drum might accompany the Gloria, while the steel drum band provides the anthem. Our choir is completely volunteer, but is made up of expert voices. 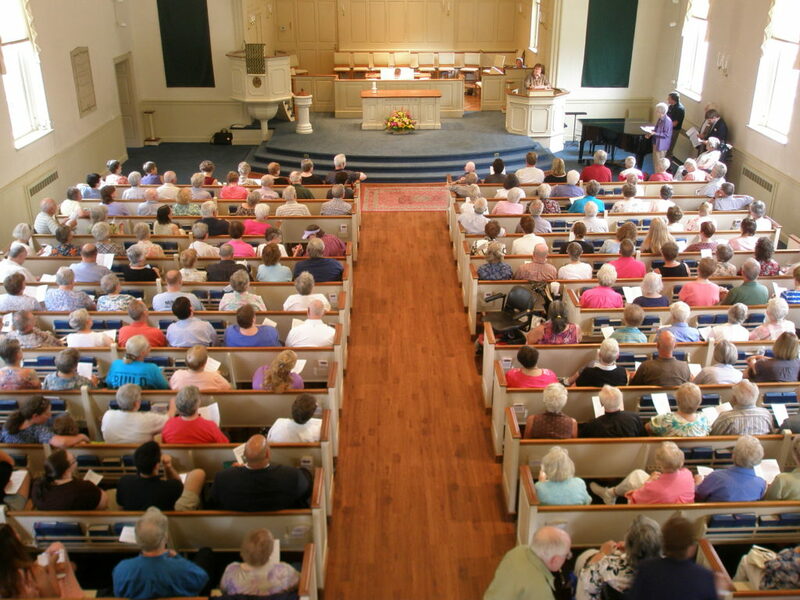 While our sanctuary is architecturally traditional, our worship is not restricted by that. Banners change with the season, butterfly kites have been known to appear, hand bells sound from the balcony, and children have a prominent place. Faith has a strong, creative worship committee that plans our special services and our talented minister of music makes it possible for us to praise God with a joyful noise.